tyr·an·ny - Definition: a level of quality imposed on design and marketing. A Website is only as good as the leads it produces. We know, because we're in business too. We produce custom designs to stand out and deliver results. We also complete an extensive search into your industry’s search engine marketing and provide you with a solution to reach the top. 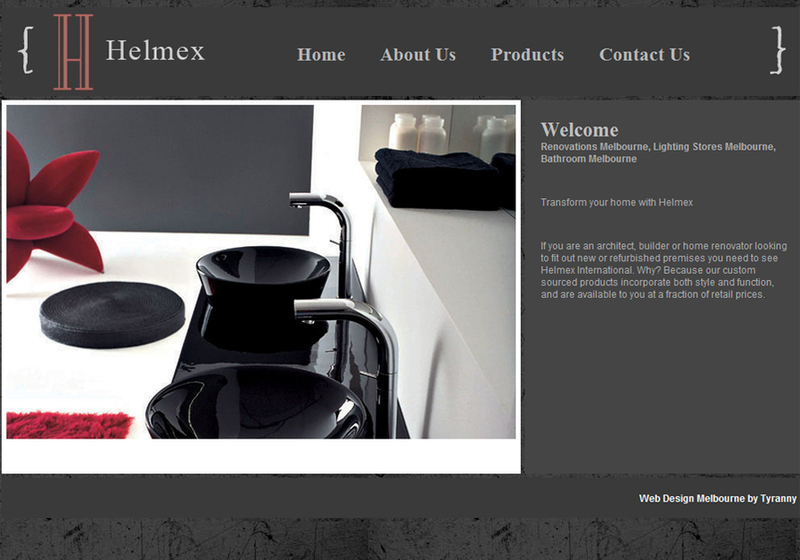 If you are an architect, builder or home renovator looking to fit out new or refurbished premises you need to see Helmex International. Why? Because our custom sourced products incorporate both style and function, and are available to you at a fraction of retail prices.